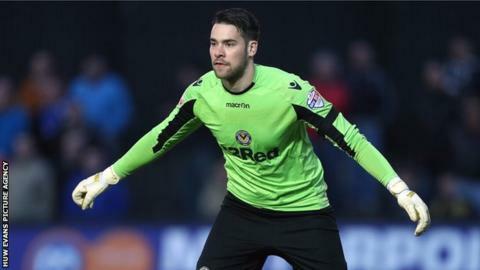 Ian McLoughlin will remain at Newport County after the League Two side extended the emergency loan of the Mk Dons goalkeeper until 3 May. The 22-year-old Irishman arrived at Rodney Parade on 11 March on an initial one-month deal. McLoughlin has made eight appearances for the Exiles and is now available for their final five games of the season. Newport keeper Lenny Pidgeley is close to full fitness but Jamie Stephens is out for the rest of the season.